Domenico Dolce and Stefano Gabbana, founders of the eponymous fashion house Dolce-Gabbana, have come out strongly against gay marriage, the notion of gay families, and the use of surrogacy to procreate. 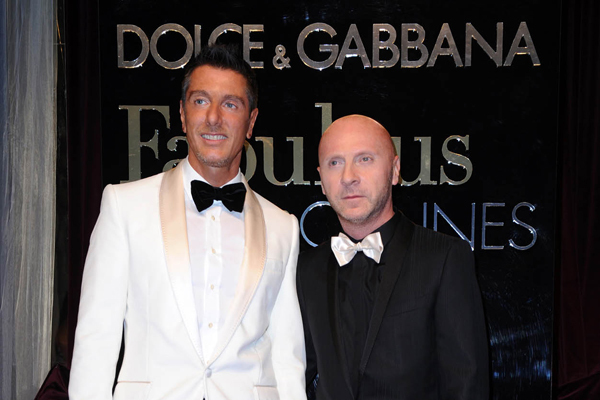 LGBTNews in Italy is already calling for a boycott of Dolce and Gabbana. It’s Not Hypocritical to Let Infertile Couples Marry, But Oppose Gay Marriage. Here’s Why. Posted in Freedoms and tagged homosexuality, Italy, Religion.